Over the weekend I sat and watched Norman Foster in his film “How much does your building weigh, Mr. Foster?”, a documentary piece on the talented British architect that released late 2010. Don’t ask me why it’s taken me this long to watch it, I guess when there’s so much good material out there it’s sometimes hard to keep track of it all. I’m like a wandering turtle who tries to collect all this inspiration, luckily I’ve got this place to dump a lot my thoughts before they escape me, I don’t know what I’d do without the site to be honest. So as I was saying, after watching this specific film piece it struck me as having beautiful poetic imagery and a fascinating tone to it, obviously it made sense to research the individuals involved in producing such a work. Carlos Carcas is the maker of the feature documentary, an individual born in the U.S. but has lived in Madrid since 1995. His role is both filmer and director, I was quite amazed by his unique ability to blend in with the film and the surroundings, as if he isn’t there at all. It felt very natural. Another short documentary of his that I came across was one that I’ve placed up today, and if you’re looking for something to really impact your day this would be it, it’s so worth the 20 minute watch time. 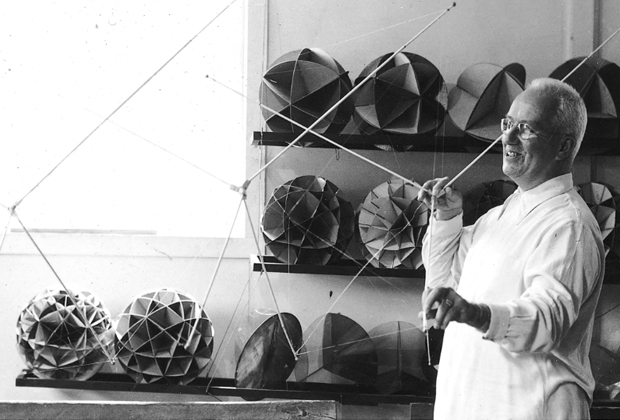 Although the film below documents a different subject, that being Buckminster Fuller, it features Norman Foster and many other contemporaries who were involved or who had a friendship with Mr. Fuller. I’m a great admirer of Bucky, I’ve read a book on him and various other articles online but never touched upon anything as brilliant as this. It basically summarises a lot of his life’s work, not just only his ups but also his downs and in my opinion gives a genuine account of this revolutionary man, inventor, architect, ecologist, poet and mathematician. Whilst watching a number of points struck a chord with me, mainly revolving around Buckminsters sensibilities and ideology. For example the greater concept and ambition that he had, looking at bigger patterns and trying to understand the geometry of the universe. One thing I found very powerful was the geodesic dome towed by a helicopter half way through the film, this is the greater concept that I’m talking about, it’s more about the social factors than aesthetics. You could place a dome like this anywhere in the world and it could serve humans at lost cost, economically brilliant and could even branch out to building cities and landscapes to house people. It’s also brilliant how bucky thought in a different tone, he says in an interview how everyone has the idea that man is supposed to fail, that we have succeeded in these so called ‘feats’ when it comes to making things. But he saw it as humans being successive, that we’re here on this earth to achieve without any boundaries, basically flipping the whole notion of life on its head. Hopefully you’ll be as entranced by this piece as I was, it really is fascinating how this complex individual was so ahead of his time, even ahead of today’s age. We need more powers like this who can be creative in their workings and target a wider audience, in turn affecting more people and the environment itself.